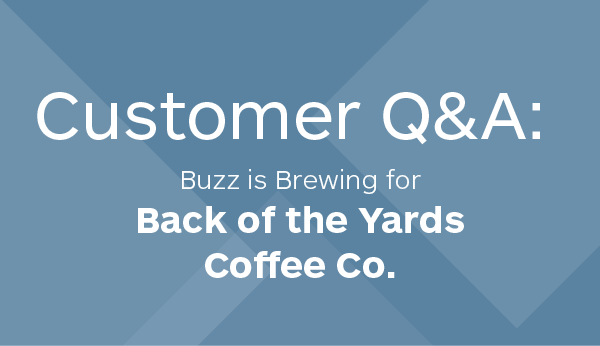 Customer Q&A: Buzz is Brewing for Back of the Yards Coffee Co. While it can be quite challenging to start a business, the good news is that there are many great resources available for aspiring entrepreneurs. The FedEx Small Business Grant contest, for example, gives small business contestants the opportunity to promote their brand on the FedEx website and a chance to win money that will go towards running their business. 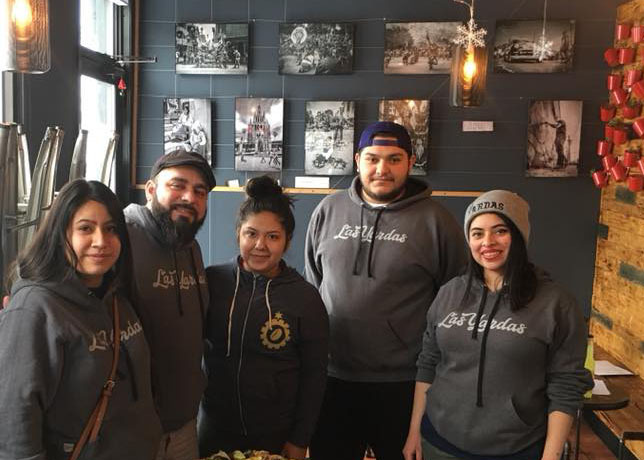 We recently sat down with FedEx Small Business Grant winner (and Shippo customer) Back of the Yards Coffee Co., a specialty coffee roaster located in Chicago’s Back of the Yards neighborhood. The company not only produces great tasting coffee, but also makes a direct social and economic impact in the community. The co-founders Jesse Iniguez and Mayra S. Hernandez shared their experience starting a business and participating in the Grant program. Read on to find out how their small business is stirring up change in their local community. 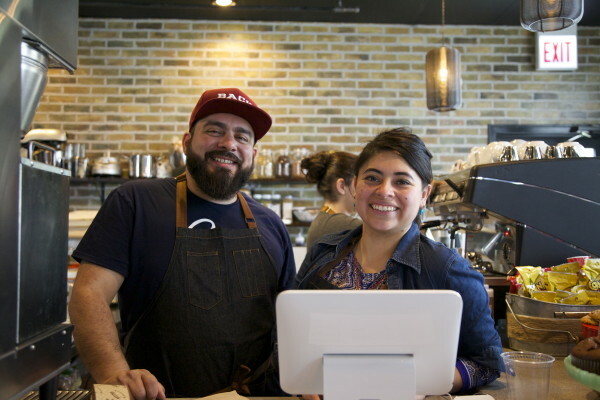 How did you start Back of the Yards Coffee Co.? The idea behind Back of the Yards Coffee started 19 years ago when I was a freshman in college. That was the first time I set foot in a coffee shop or even knew that coffee shops existed. 19 years later we still had no coffee shop in the neighborhood. Mayra and I decided to start having conversations with people and doing research to figure out if a coffee shop would be welcome in our community. We didn’t just want to do a coffee shop, however, we wanted to do something different. Coffee shops often signal the start of gentrification in a neighborhood, but we wanted it to be an economic and social engine for the Back of the Yards neighborhood. We do this by donating a portion of our coffee sales to programs that promote peace and education, hiring and buying local, using fully compostable packaging, and sourcing direct from coffee farmers. 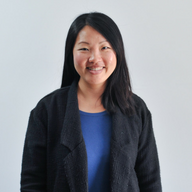 What did you learn from participating in the FedEx Small Business Grant program? We learned that there is money and resources for small businesses that are trying to make a difference. We also learned that there are a ton of amazing small businesses nationwide that are doing amazing things and we were humbled to be chosen as one of the grant winners. It also validates that our mission and persistence to do things differently is paying off. What advice would you share with other companies interested in participating in the program? Apply. Even if you are not chosen as a finalist, the experience and the exposure is tremendous. What have you found to be most valuable for strengthening your connection to your customers? Be genuine. We have been very clear and open about our mission and have demonstrated how we have accomplished our mission by being transparent. We believe that customers appreciate that. We hope that other companies follow our social, economic, and environmental mission, but that they are genuine about it and don’t only market it as a way to get customers. Consumers are smart and they should be treated with respect. They will know when companies are not being sincere. For us, we believe that our success has been because of this mission. What are some of the challenges you see in running a business and/or shipping your products? Running a business can be a daunting task, especially for those of us that had no prior training or family and friends with a background in entrepreneurship. Finding resources can be very difficult, but not impossible. The main thing for us has been writing a good business plan, updating it to reflect current realities, and following it. It is very difficult to forecast, without having made a single sale, especially when you are doing something nobody has done before. But, if you do your research, adjust as you go along, and learn new information that affects your projection, you will be successful. E-commerce shipping can also be difficult to plan for because there are a lot of factors that go into a price, but having partners like Shippo and FedEx that are willing to work with you and go the extra mile to support your business needs is a huge asset. Having someone on the other line willing to answer your questions, especially when you are starting out, is critical to our success. If you liked hearing insights from one of our customers, you might also like our case studies for subscription service BeanBox and VNYL, or you can check out another recent customer spotlight featuring Mini Materials here.